Weekends are always interesting periods for cryptocurrency trading. Compared to the rest of the week, users will often see completely different trends materialize. This weekend is shaping up to be slightly bullish so far. That also reflects well on the Dogecoin price which is inching ahead in USD value. The DOGE/BTC losses continue to pile up, unfortunately. It has not been a bad nor good week for Dogecoin in terms of its valuation. Although there have been some minor losses in BTC value, the USD value has held its own without too many problems. Additionally, the Dogecoin market cap remains above $250m for today, which is another positive sign in its own right. As such, one can see why some speculators continue to expect big things from the meme currency of the internet. Over the past 24 hours, there has been an interesting Dogecoin price shift. With a 2.2% gain in USD value, one Doge is now priced at $0.002148. On the other side of the spectrum, DOGE lost 0.16% in BTC value. Retaking the 60 Satoshi level remains very difficult, yet this loss has allowed the altcoin to remain very close to that target. A peculiar trend which can easily shift in either direction. On social media, there are some interesting aspects of Dogecoin being highlighted. Thecoinrepublic confirms Dogecoin continues to perform better than virtually all other altcoins on the market today. It is also the network which has the most value transferred on a daily basis except for Bitcoin. As such, Dogecoin continues to check the right boxes in this regard, even though it doesn’t necessarily reflect on the current price. For those who like a math challenge, Tom has come up with an interesting formula. Applying this formula will tell users exactly how much relative worth one day of mining Dogecoin brings tot het able on a global scale. This value should not be expressed in US Dollars or other major currencies, but merely serve as a figure to make the calculation a bit easier. Math is hard during the weekend, but this one isn’t too difficult to figure out. 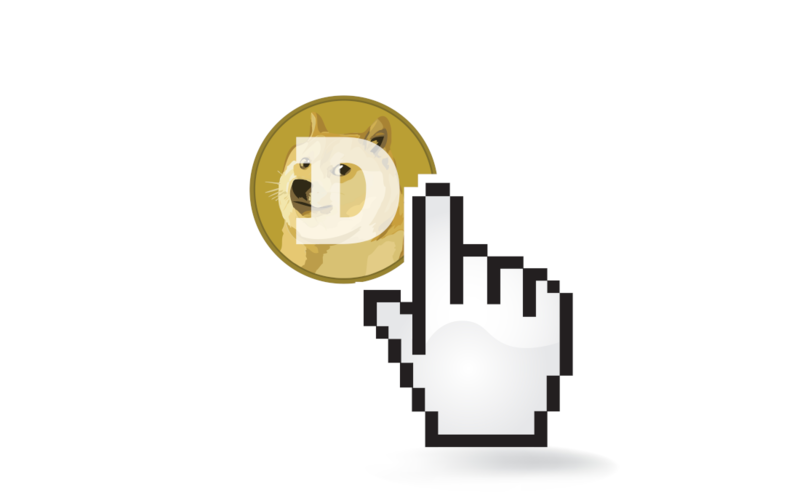 Multiply the price of a million x14.4 to calculate the relative worth of a day’s mined supply of #dogecoin. A meme a day keeps the doctor away, or so DOGE LIFE would like the Twitter universe to believe. The latest meme explaining the “Dogelife” is quite funny in its own regard. Ever Dogecoin-related meme usually tends to do quite well on social media, thus it seems plausible to assume this one will yield similar results. Everything needs to be put in its proper perspective when dealing with cryptocurrencies. All things considered, it would appear as if Dogecoin is in a very good place. That is all one can ask for under the current market circumstances. At the same time, it seems the DOGE/BTC ratio needs some love, yet the 60 Satoshi may remain out of reach for some time to come. Behind the scenes, everything’s coming together for DOGE, yet the price will need some time to properly reflect these developments. The post Dogecoin Price Moves up Slightly yet the 60 Satoshi Level Remains Unattainable appeared first on NullTX.